We are Marina del Rey’s premiere powerboat rental fleet with boats ranging from 23' pontoons to 60’ Motor yachts and charters available for 2-hour harbor cruises, 4-hour coastal excursions along Santa Monica coastline, north to Malibu’s Paradise Cove and Keller’s shelter, or south to Redondo and Palos Verde. Full-day and multiple day charters are available to Catalina Island, and the Channel Islands. Charters available up to 12 passengers when you take the helm with your US Powerboat certification, or up to 6 passengers with our USCG licensed captains. 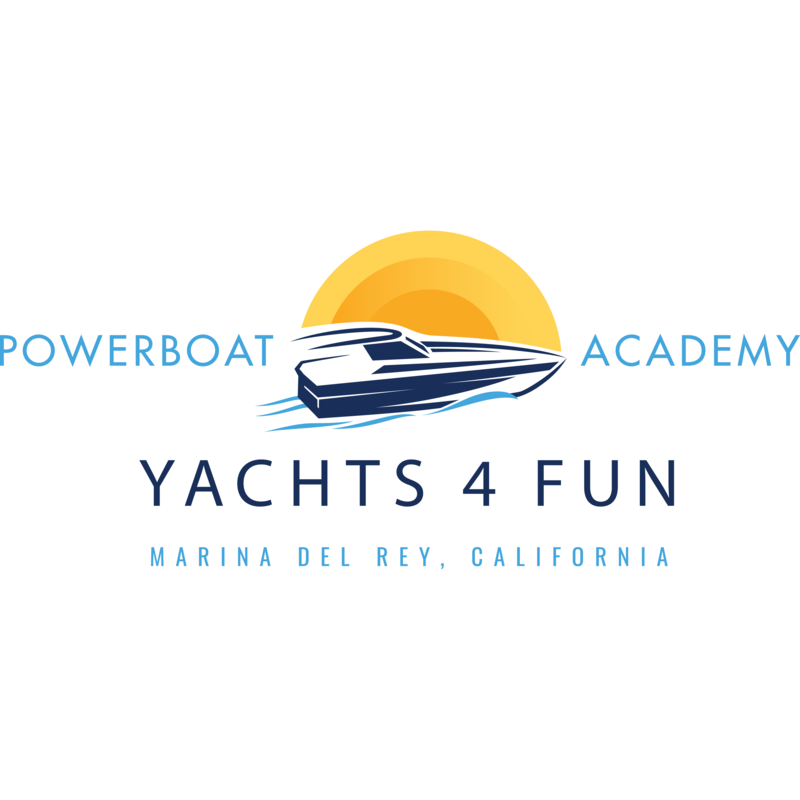 Yacht4Fun’s Los Angeles Powerboat Academy is a US Powerboat course provider for the larger “ cruising class” powerboats. We offer courses for Basic Cruising Powerboat, Night Operations, and Inshore certifications. After obtaining your Powerboat certifications, you can take command of the helm of our 40’, 50’ and 55’ luxury motor-yachts. The Basic Powerboat certification course is a 12-hour “on the water” training program, and accepted by the state of California to obtain your California Boater Card.